Every couple wants their wedding to be fun and memorable, but sometimes the options for wedding entertainment for the reception can seem a bit stale and out of date. Photo booth? DJ? Slideshow of the couple’s lives since childhood? …Yawn. Haven’t these all been a bit overdone? Why not spice up the reception and add some truly unique and fun wedding entertainment to the mix? You can still have your DJ if you really want—but with these excellent novelties, your wedding will be a spectacle to be remembered forever. Here are a few ideas to entertain your guests at a truly unforgettable wedding reception. These servers are fun, playful, and practical—everyone wants champagne at a wedding, right? 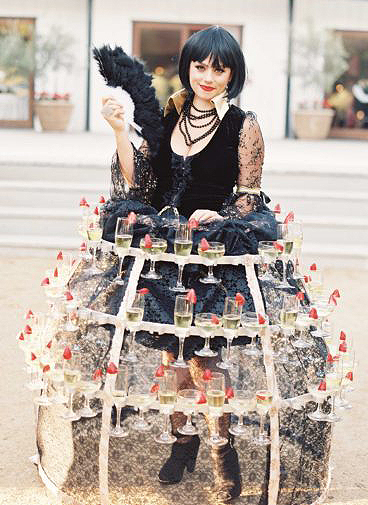 There are also strolling table dresses available that can present nearly anything at your reception, as well as cocktail napkin dresses and wine tricycles. This may sound a little circus-like, but contortionists are very entertaining for guests to watch as they’re chatting or having a drink. 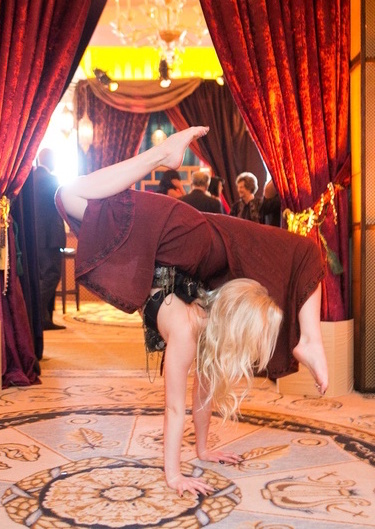 Contortionists are unique and beautiful to watch, and will make for quite the captivating curiosity during your reception. One of our favorite ideas for wedding entertainment! Not only is this concept unique, it also creates instant party favors—plus, you’ll have a literal storybook of your wedding day and guests. 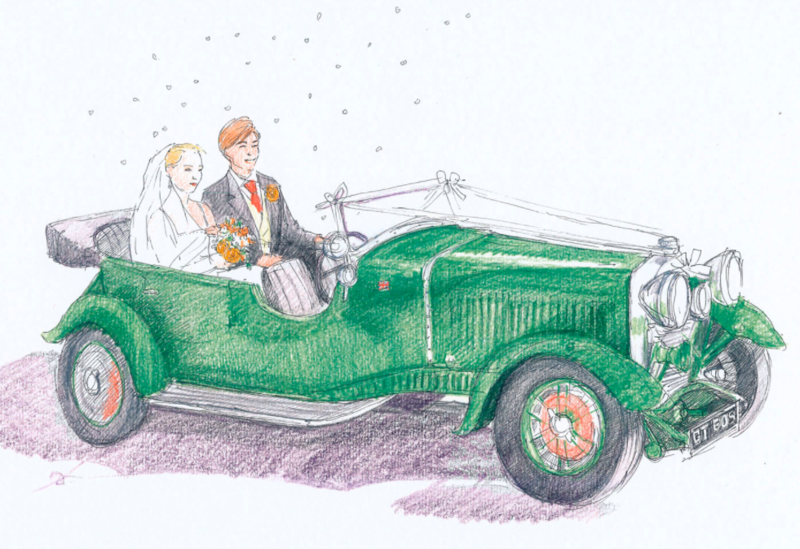 A collection of illustrations from your big day can make for an outstanding wedding memento, and having an illustrator who can create sketches on-site at your wedding will delight everyone there. These sketches will be great for you or your guests to have forever as a memory of your wedding day. There’s nothing like seeing a professional dance routine performed right in front of your eyes. 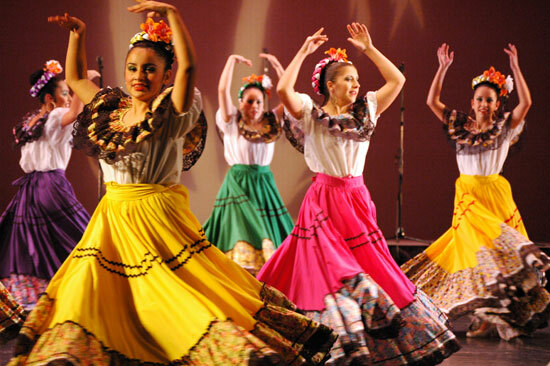 Exhilarating, fun to watch, and full of pizzazz, the right dance number from any type of performers—from romantic flamenco dancers to festive Irish dancers—can bring the crowd together and be exciting for everyone. You can select a style of dance that represents anything from your heritage to a film you both love. Or, if you prefer, you can hire a few dancers to simply choreograph more low-key numbers to live music from a band. This is a growing trend that is always a crowd-pleasing show-stopper. Whether you decide to use professional local actors or just grab a couple of your friends, having you and your partner’s love story acted out for your guests—from your initial meeting up until the wedding day—is guaranteed to be funny, touching, and very memorable. Even if this ends up just being wedding entertainment for the kids, it’s still a different and engaging reception activity. 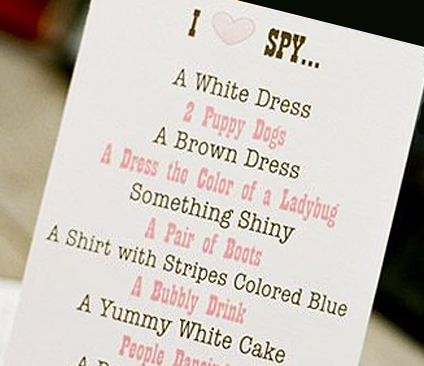 The list of items can even be wedding-themed. A small prize (or prizes, if it’s a team) can be awarded to the winner(s) if you choose. This is becoming more and more of a popular wedding reception activity, and is a must if you happen to be a highly-competitive bunch. With a little creative planning, your wedding reception can be a blast for everyone. 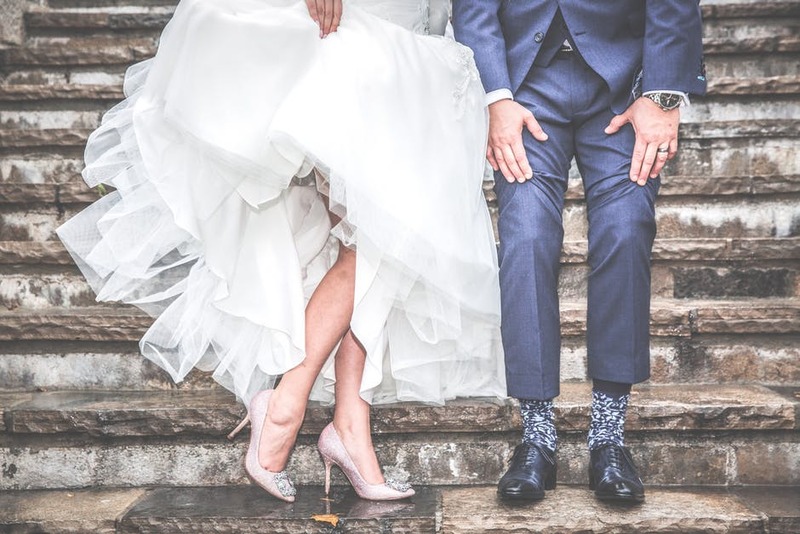 There’s nothing wrong with traditional stand-bys like a live band or fads like a photo booth, but if you’re a couple that enjoys things to be a little out of the ordinary, consider something a step above the regular run-of-the-mill reception ideas. If you’re looking for a wedding venue that’s as unique as your wedding entertainment, consider De Luxe Banquet Hall in Los Angeles. We can accommodate large parties for a big, extra-fun wedding. For any questions you may have about booking, availability, or pricing, please feel free to contact us. We look forward to hearing from you!